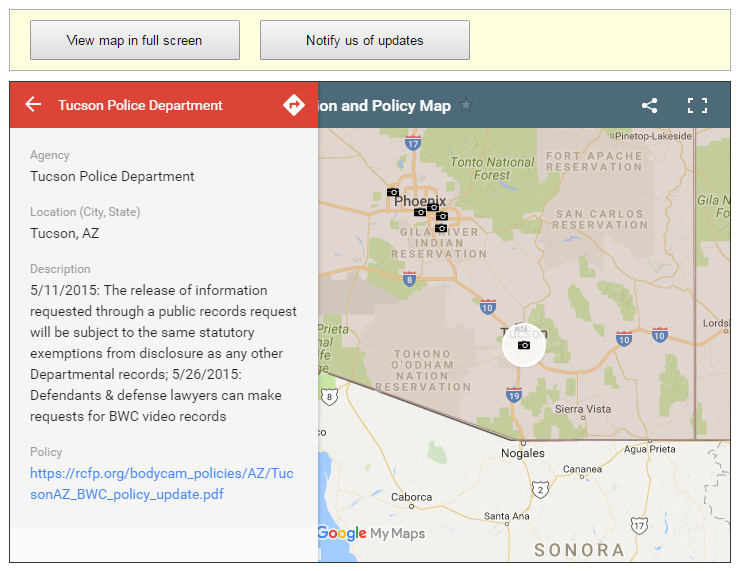 Access to police body camera footage under state and local Freedom of Information laws varies by locality. The Reporters Committee for Freedom of the Press and NYU Law School’s Brennan Center for Justice each have helpful guides that can help requesters navigate the laws in their area. The FBI officially stopped receiving FOIA requests through email this week, in a move that will make it much more difficult for requesters. The bureau is now forcing requesters who want to file electronic requests to use an inadequate FOIA portal that is not getting off to a good start. The FBI left restrictions that it had promised to remove in place – like requirements to provide a phone number with a request – until late in the day, and the portal still has no field for requester fee category (like “news media” for example) and doesn’t allow you to check the status of your request. One of the most frustrating aspects of the FBI’s move is the House’s 2016 FOIA Oversight and Implementation Act (H.R. 653), which unanimously passed the House, but was ultimately not adopted into law, required agencies “at a minimum” to accept FOIA requests via email. This commonsense provision embodied the spirit of the transparency law by allowing requesters to submit FOIA requests via their preferred platform – increasingly email – over mailing in physical requests, faxing them, or using oft-clunky FOIA portals. The FBI should work to increase access to its records by both bringing its FOIA portal up to snuff, and begin accepting requests via email again. Sunshine Week, the national celebration of open government and freedom of information, kicks into full gear Monday, March 12th. Every year, the news media, nonprofits, libraries, schools, and the government debate the best ways to strengthen the public’s right to know and how to achieve a more democratic, transparent government. On Monday March 13th the National Security Archive’s director Tom Blanton will join Ralph Nader, Dean of the University of Maryland’s College of Journalism Lucy Dalglish, and Tom Susman of the American Bar Association at the U.S. National Archives for a panel on FOIA After 50. NARA will also host Chair of the House Oversight and Government Reform Committee Jason Chaffetz, and a panel on “Government at Your Fingertips,” featuring Adam Marshall of the Reporters Committee for the Freedom of the Press, co-founder of MuckRock Michael Morisy, and former Office of Government Information Services director Miriam Nisbet, among others. Space is limited for the event, which will be held in NARA’s McGowan theater, so please register here by March 10. Other cool events, like the 3rd Annual Foilies Awards, the FOIA and Journalism Workshop, and Cops & Cameras: privacy, transparency and limitations, can be found on the Sunshine Week website. A separate post from Aftergood points out there “is no law that categorically prohibits all leaks of classified (or unclassified) information. Instead, there is a patchwork of statutes that outlaw some unauthorized disclosures under some circumstances.” Aftergood goes further into detail with the Washington Post here. 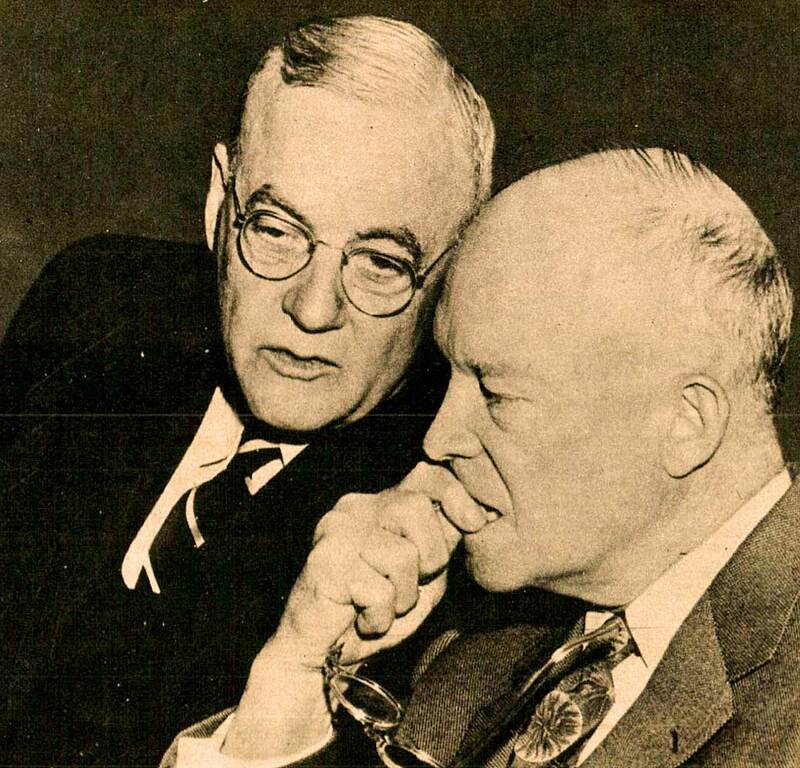 President Dwight D. Eisenhower ruled out military intervention in Eastern Europe early in his administration, despite campaign rhetoric about rolling back world Communism, according to a U.S. Defense Department draft history published by the National Security Archive. 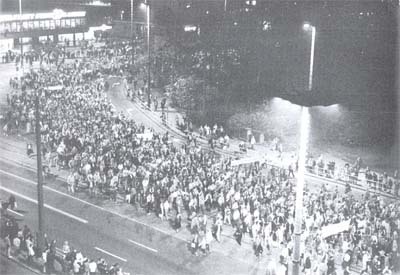 Fear of provoking war with the Soviet Union drove the decision, the study finds, based on research in a variety of government and public sources. The Archive’s latest posting covers the period leading up to the Hungarian revolt of 1956. The author is Dr. Ronald D. Landa, formerly with the State Department’s Office of the Historian and the Historical Office of the Office of the Secretary of Defense. This is the second of three studies he prepared for the OSD during 2011 and early 2012. They were declassified over the next few years, albeit with a number of passages left heavily excised. The National Security Archive and the Project on Government Oversight’s search survey for both FOIA processors and FOIA requesters will remain open for one more week. The goal of the survey will be to collect data on disparate agency search methods and software – and the more people who fill it out, the more useful the collected data will be.